ace Nov 06 2014 10:42 pm I was unaware of his Passing. I came here to praise him and his craft. Then I read JAY-ANN143's post. Now I have to admit, stream of consciousness here, I'm very sad. I'm watching him in Yamada Taro Monogatari as the Principle. It was a great role that frankly, he owned. ...Damn...I am going to miss him. Rest In Peace Ken Utsui. JAY-ANN143 Apr 18 2014 9:15 am A sudden lost of utsui ken Last march 14 2014 .. because of respiratory failure makes me shock .. 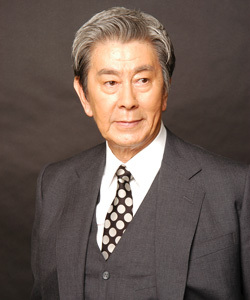 He can now rest in peace and be happy in loving god's arms .. he is a big lost to japanese television , he is a great actor too .. i loved him in GOKUSEN SERIES as kumiko yamaguchi grandpa. WE WILL MISS YOU MR.UTSUI KEN. WE LOVE YOU.! John Kelinske Jan 30 2010 3:55 pm In America he was "Starman". When I was a teenager we watched him on TV here in the middle 1960s and we sometimes laughed at how he beat up the "bad guys". It was sometimes silly and sometimes scary but I always felt he was sincere in his acting, I'd like to tell him he meant a lot to not just Japanese children, but to Americans as well.